I’ll start off the week by saying I’ve frogged the pink and grey knitting project because I decided to use the yarn for another project. 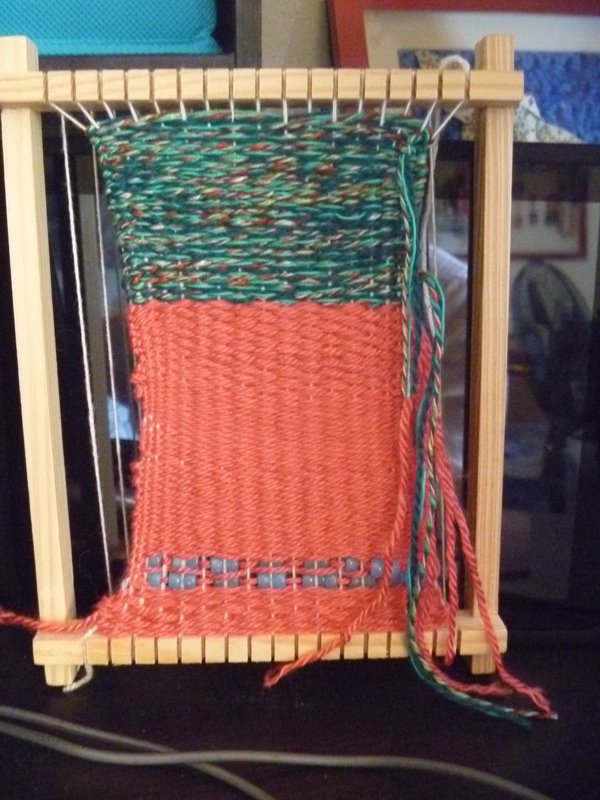 Finished this over the weekend but haven’t removed it from the loom. This took two or three days. The bottom turned into a peplum after I was experimenting with the stitches but then went back to just half treble or half double stitches. I didn’t write it down but it started off. Make sure ends are not twisted and slipstitch ends together. This is where it gets vague. Hdc/Ht third and fourth row. Hdc2tog/Ht2og then hdc/ht* Next two rows. I think Hdc/Ht the next four rows then Hdc2tog/Ht2tog the next two, before returning to Hdc/Ht the rest of the rows, but can’t tell from looking at it. I didn’t do anything to keep the colors from jogging and actually like the angle they make. If I really wanted, it could be worn it so the unevenness will be on the back. Also, at some point, (wasn’t paying attention and) changed the needle size, going from H to J.
I also split the second color into three balls so I knew when to add colors. The straps were guesstimated, worrying they would be too long. 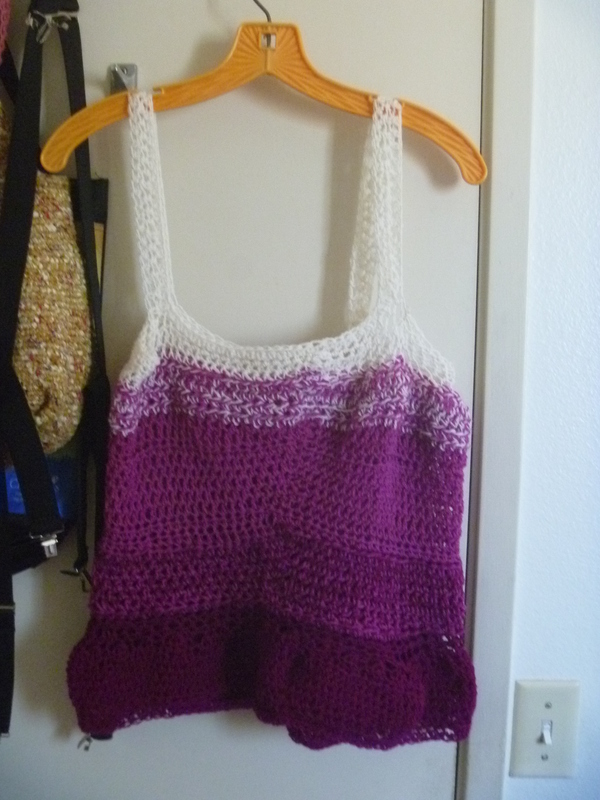 Originally ch35 but redid it to ch40 then three rows before attaching them to the back. When I made the chain then attached it originally, it kept twisting on me. It isn’t blocked and still have to weave in the ends but I have tried the top on and it fits perfectly and ends right after my belly button. The more I look at it, the more I want to turn this into a dress. I don’t like close fitting skirts so will have to figure out a way to make it loose.